The British Riding Pony has long been associated with the glamour and tradition of the show ring, but many registered ponies also compete with great success in other disciplines. The NPS supports this by offering classes for sport pony breeding, event pony and dressage at the Summer Championships. In addition the NPS Dressage Group run a very successful Dressage Championship each April at Addington Manor Equestrian Centre. In conjunction with some of the major equestrian sport governing bodies, the stud book offer Best of Breed rosettes to British Riding Ponies who are excelling in those disciplines. We also regularly profile these ponies on our social media pages. If you have a British Riding Pony that is competing successfully outside the show ring, please contact the office with your news. Sport pony breeders might recognize his famous stallion better by his German name of Brillant. He won the Country Life Perpetual Challenge Trophy at the 1981 NPS Summer Championship for the best British Riding Pony colt in the Hack Breeding section. 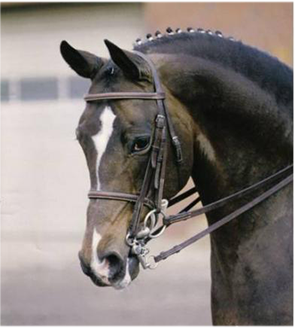 Benedict was then sold and moved to Germany shortly afterwards and became licensing champion of the Weser Ems studbook in 1982. He then became a supremely influential sire in Germany with 37 licensed sons, many State Premium daughters and was leading sire of dressage ponies for many years. His offspring won Bundeschampionates, and European team medals and were famous for their kind temperaments and superior sporting ability. His influence is felt through his many grandchildren and great grand children still competing today. His best known son in the UK is Bernwode Brokat. As with so many great British Riding Ponies, brilliant traced back directly to the great sire Bwlch Valentino, but also carried plenty of Thoroughbred and Arab outcross blood. A fabulous example of the athleticism and class of a British Riding Pony is Catherston Nutsafe. This British Pony Eventing Team stalwart was also a winner in the show ring as a working hunter pony (qualifying for HOYS). 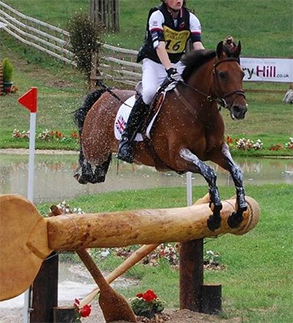 However her exploits as an eventer are the mostoutstanding, particularly at the Pony European Championships, winning Eventing Team Silver in 2008 & 2009 (ridden by Ella McEwen), Team Gold in 2010 (ridden by Sam Ecroyd) and Team Silver again in 2014 (ridden by Chelsea Pearce). Snoopy was bred by Lizzie Murray and is by Catherston Nightsafe out of the Dutch Courage mare Catherston Dauntless. Nutsafe was still competing at the age of 20.